We would like to introduce you to our partners, whose products we use in our houses. 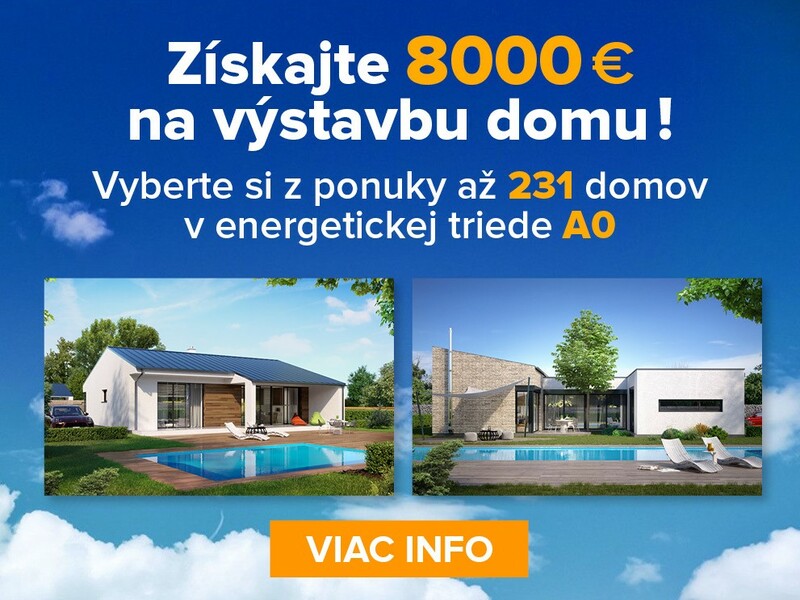 These are the top offers by firms who manufacture or supply the appropriate products in the Slovak market for home construction. Xella Pórobetón SK, spol. s r.o. BRAMAC strešné systémy spol s.r.o. 831 05 Bratislava Tel. 0948 528 548; www.scar.sk. PROFI-GREEN - trávniky , s.r.o.